RHCP. RHCP. Wallpaper and background images in the Red Hot Chili Peppers club tagged: red hot chili peppers photo shoot ellen von unwerth rhcp. 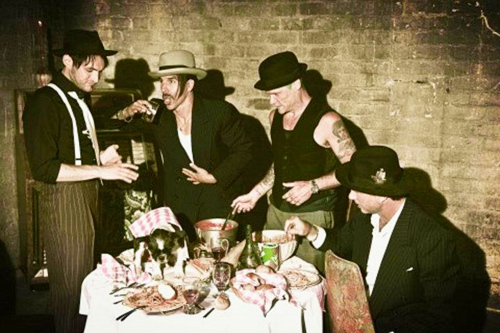 This Red Hot Chili Peppers photo might contain bouquet, corsage, posy, nosegay, brasserie, and dinner table.